We are so excited to introduce this new feminine brand design to the market! 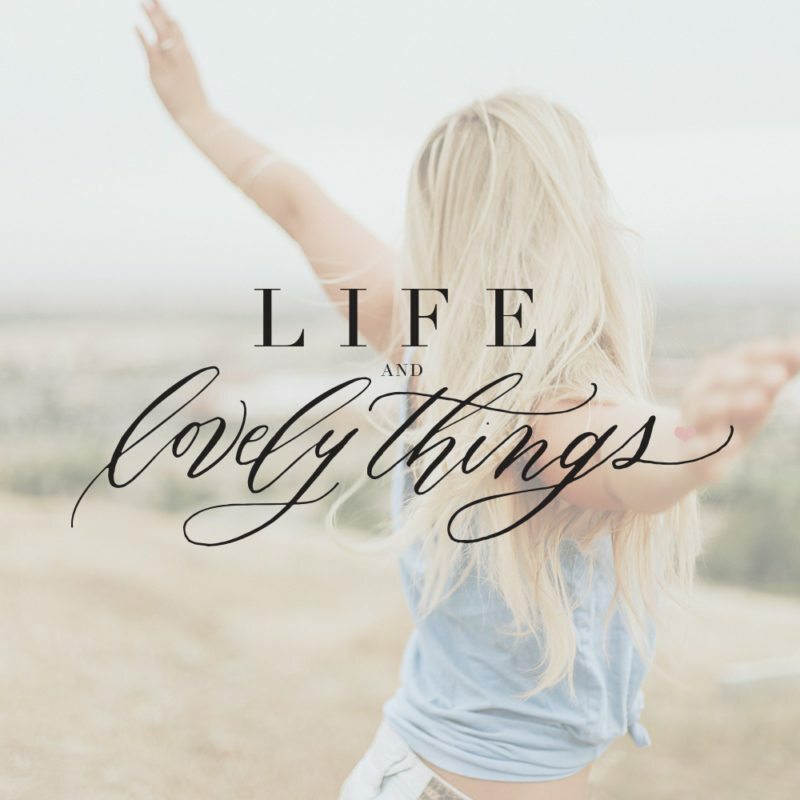 Life and Lovely Things is the ultimate source for supporting women in cultivating their loveliest lives through real experiences, deeper connection, and inspired ideas. The design is all about balance, with a structured serif font and a whimsical hand lettered script – the brand design can connect with the modern woman who is all about balancing her professional and home life. 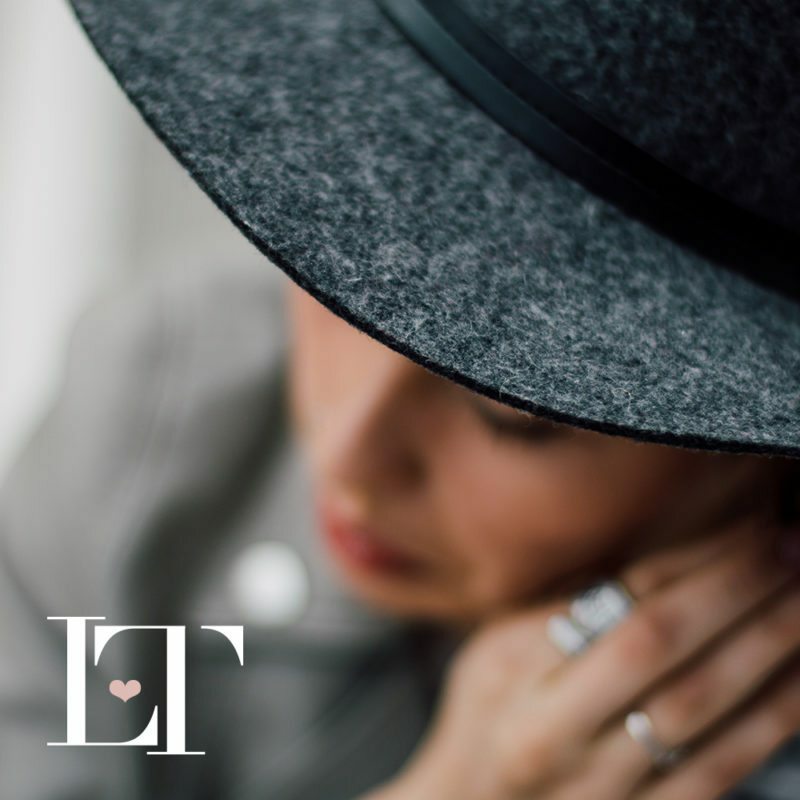 The small heart accent represents the feminine and optimistic characteristics of the brand and helps it all feel light and easy. Owner, April Clay, says, “I wanted to create a brand that was an outlet for women to be themselves, where they can have fun, be heard and connect with their tribe. 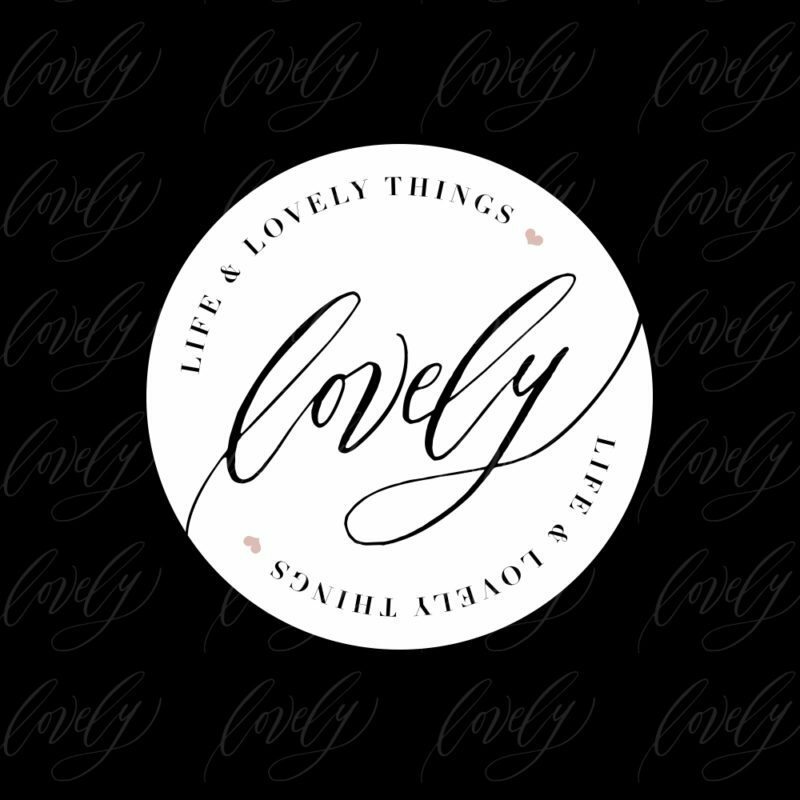 Life and Lovely Things is inspiring, empowering and approachable.” For the feminine brand design, we started with the logo design and brand board, filled with the color palette and inspirational mood board to set the tone for the brand. We continued by creating multiple design pieces from a badge (circle version) of the logo, a stand-alone icon to be used throughout branded pieces, business cards, letterhead, event signage, social media graphics and more. Take a look! With social media’s influence, it’s always important to have a variation of your brand or logo that would display and look great in various profile images. Simplistic icon to support the brand and be used in various locations. 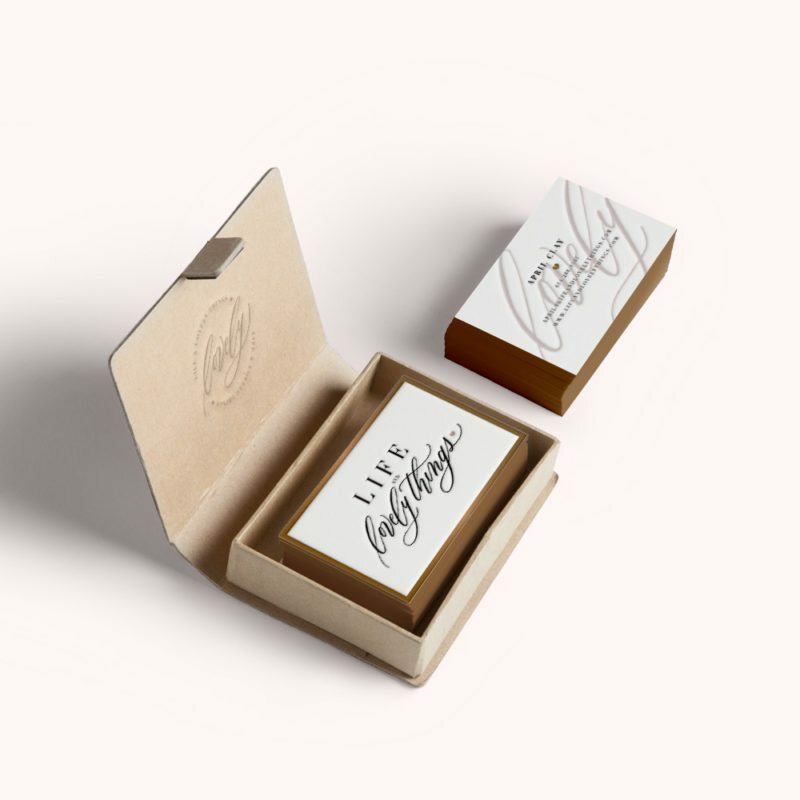 Elegant letterpress business cards with a classic, simplistic and clean design to represent and connect with this target demographic. To inquire about having a feminine brand design, logo design, brand board, or brand identity created for your business, drop us a note here.